It’s easy with our low-cost dual control cars. They come with two sets of controls, which allow an experienced driver to keep you safe while you learn. You can even use our vehicles for driving tests. Why choose dual control hire? £300 off the price of a new car. Find out more here. We also have competitive daily rates for driving instructors, meaning unexpected repairs or accidents won’t keep you off the road for long. Don’t disappoint your customers and keep yourself moving! 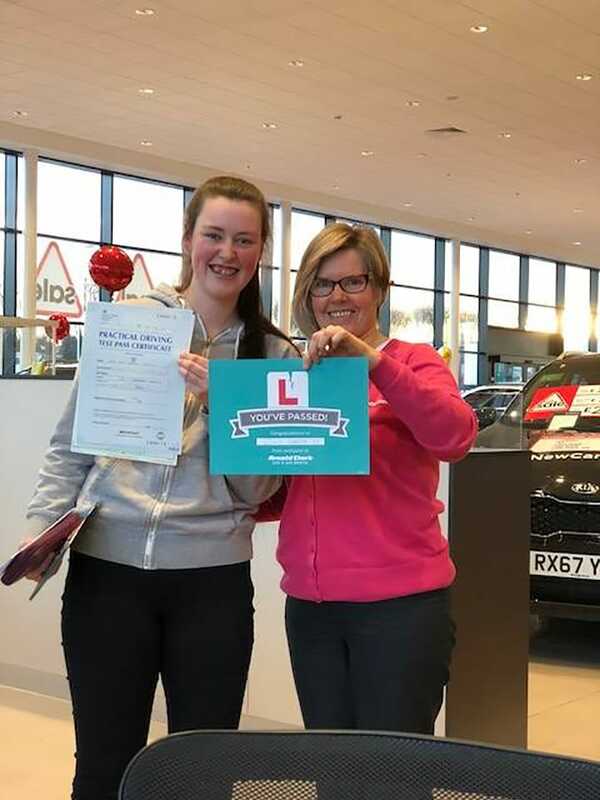 My daughter has just passed her driving test and being able to hire the dual control car from Arnold Clark, at such a reasonable rate, and so conveniently, over the past 9 months has been a massive help. All of the staff were extremely friendly and supportive throughout and I would gladly recommend your service to anyone – it’s unbeatable! 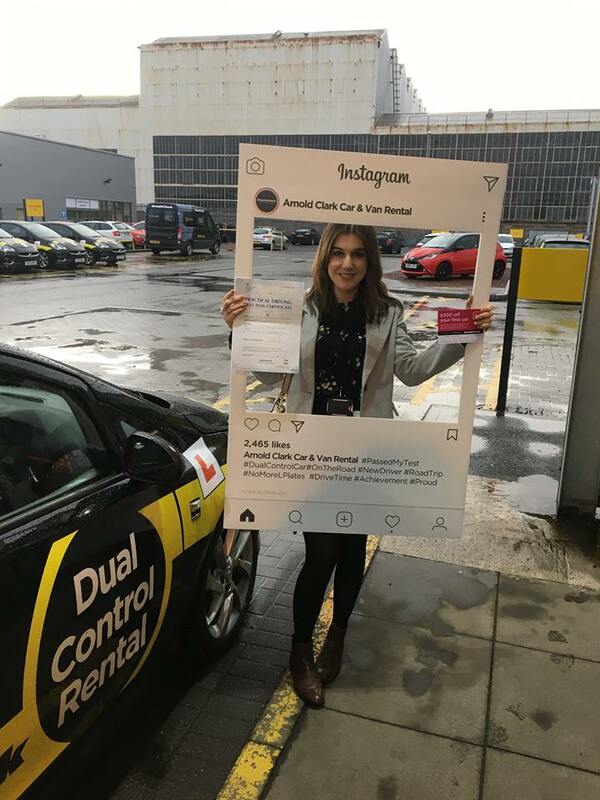 Give the learner driver in your life a passport to success with our dual control gift vouchers. Must hold valid Young Scot Card. Manual dual controls allow the instructor to take over when needed. High visibility livery ensures you’re safely seen on the road. All our dual control cars have front and back learner plates. How do I book a dual control car? To book your car simply call our rental reservations department on 0141 237 1965 or book now. How old do I have to be to hire a dual control car? 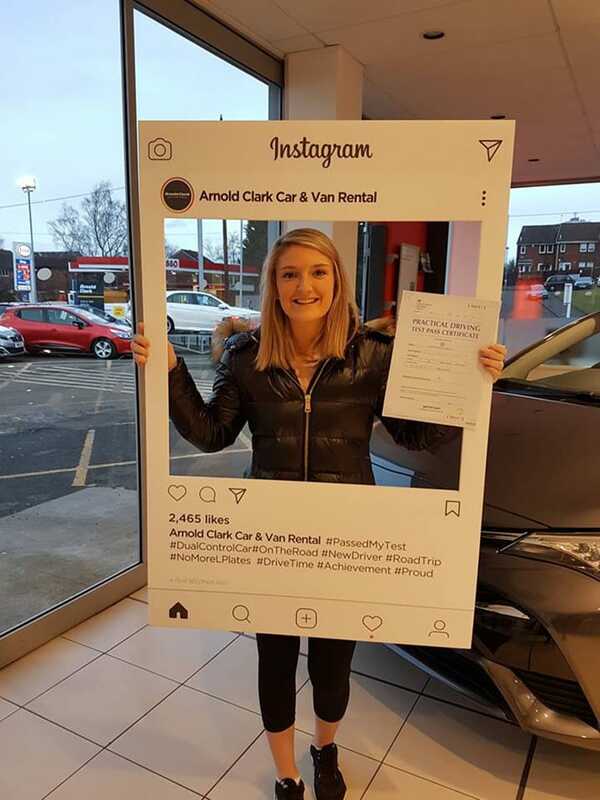 You must be 17 years old or over, possess a clean, current provisional licence and be accompanied at all times by a qualified driver, who is 23 years old or over. We charge £5 per hire for accompanying drivers aged 23-24. 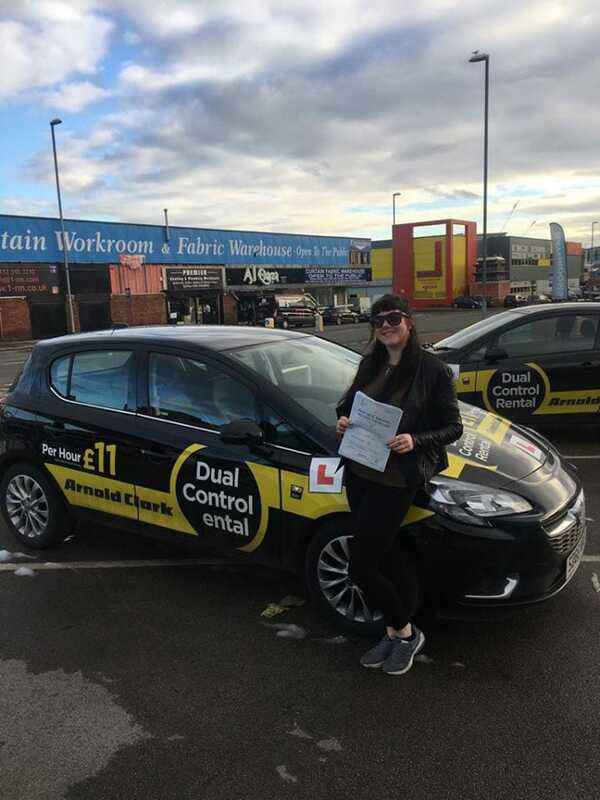 If you currently possess a full UK automatic driving licence, you will still be able to hire a manual dual control car with a provisional driving licence. What if I already possess an automatic driving licence? If you currently possess a full UK Automatic driving licence you are still able to hire a manual dual control car as a provisional driver. What qualifies me as an accompanying driver? An accompanying driver must be 23 years or over and hold a, current and valid UK or EU driving license for a minimum of 3 years. If the accompanying driver has points on their license, please check with branch prior to hiring, to ensure that the driver is eligible. What documentation do I need to bring with me to hire? As the accompanying driver you are required to bring your card part of your driving licence along with a utility bill, or similar, as proof of address (proof of address must be dated within the last 3 months to be valid). As the student driver you will be required to the card part of your provisional licence. Both the accompanying and student driver must also download a code and bring it with them to allow us to log in and view your licence details. You can do this by clicking here. Can I carry any passengers? Additional passengers must not be carried at any time in our dual control cars. 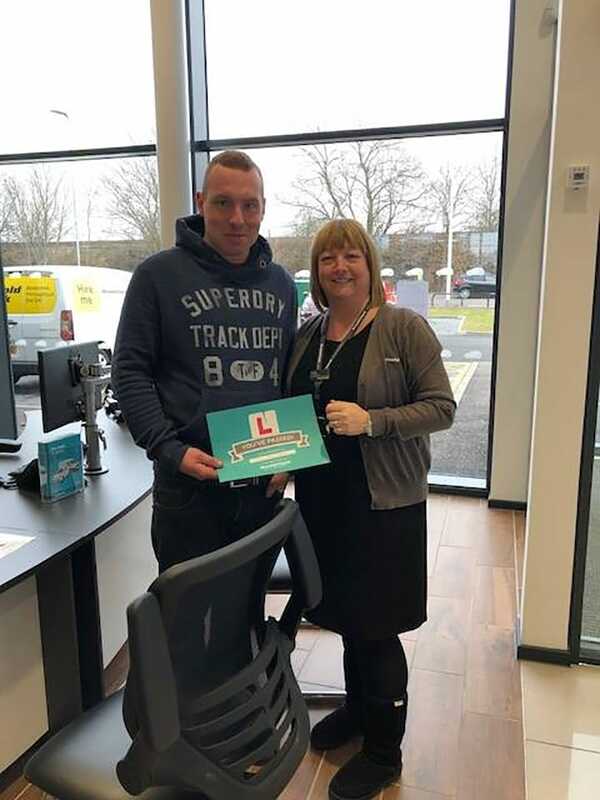 Do you offer driving lessons? No, you need to be accompanied by a friend or relative over the age of 23 who has held a full license for more than 3 years. 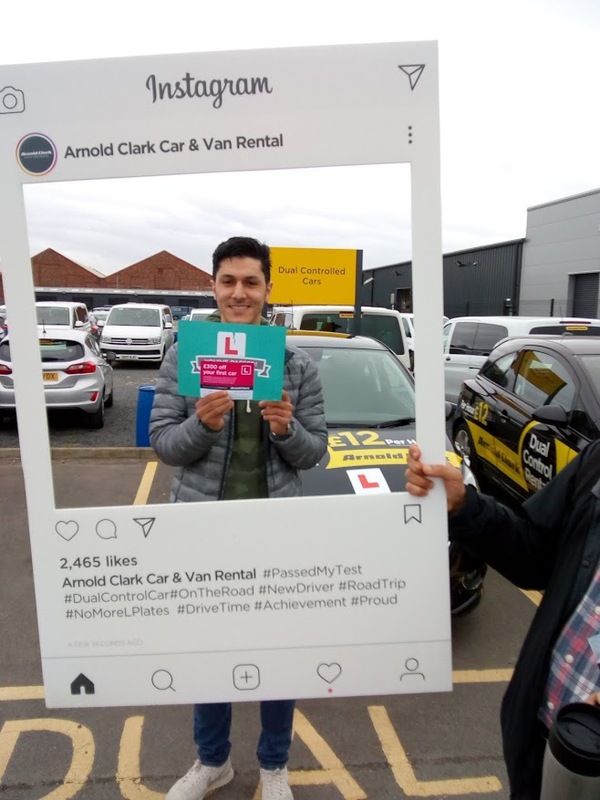 Can I use an Arnold Clark dual control car to sit my driving test? Yes, you can use our dual control cars to sit your driving test. You will need to have hired one of our dual control cars for at least one hour on a previous day to qualify. 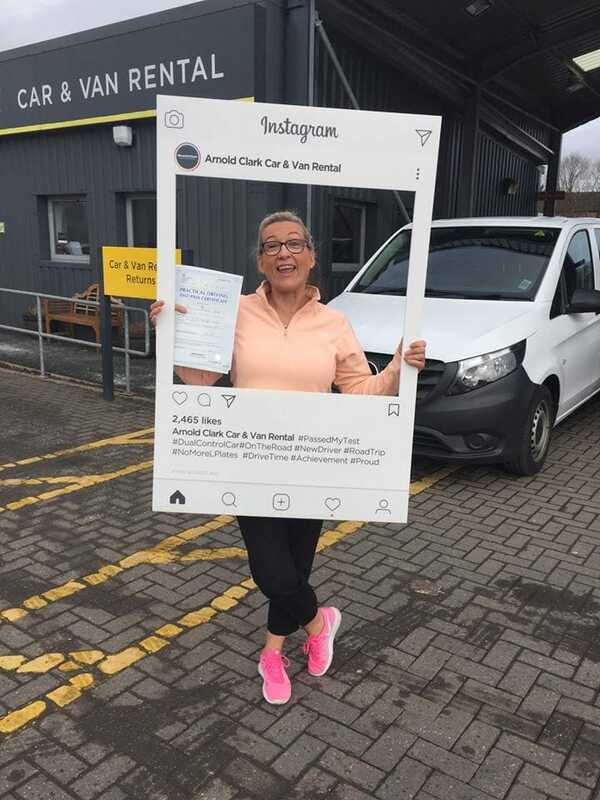 Please let us know that you require the car for your test at the time of booking with us. Is VAT & insurance included? Yes, VAT & insurance are both included in your dual control car rental. An excess will be charged for any vehicle damage, however, an optional excess waiver can be purchased (subject to qualification). Are there any mileage or fuel charges when hiring a dual control car? No, the hourly price includes mileage and fuel. How long can I hire a dual control car for? The minimum period of rental is 1 hour and maximum is 4 hours. Do you have automatic dual control cars? 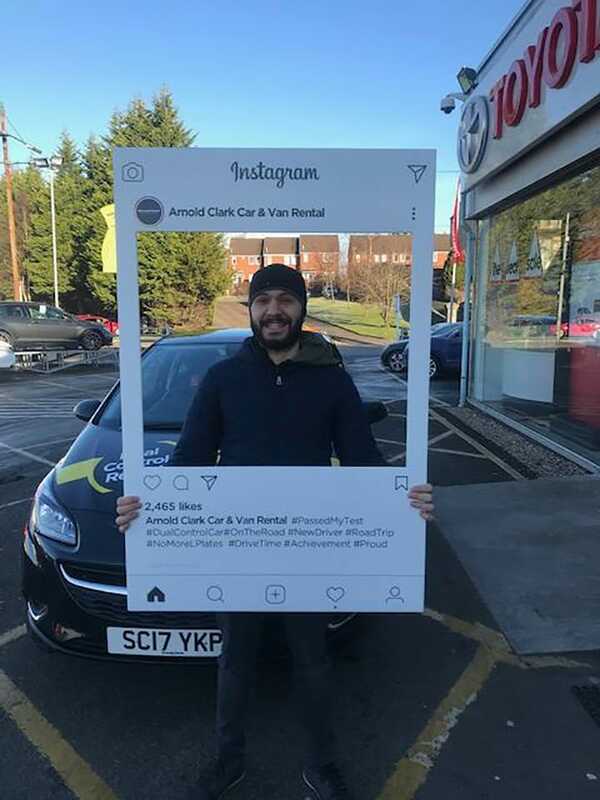 Yes, you can hire an automatic dual control car from our Kilbirnie Street, Glasgow branch, Liverpool branch and Armadale branch. Below are some pictures of our customers who have recently passed their test with our dual control cars.